Very excite. 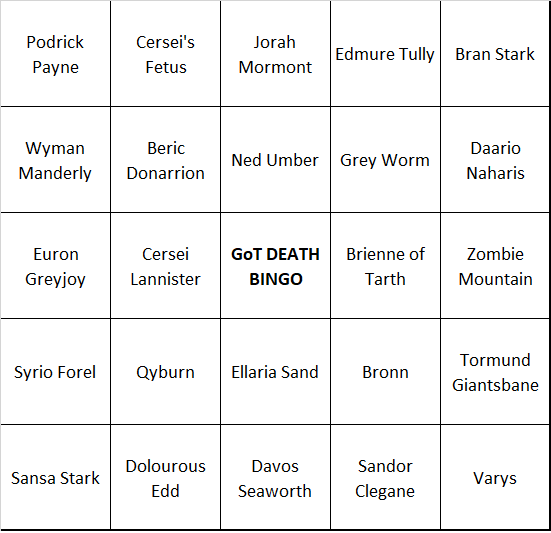 We're doing a pool at work where you try and guess who lives and dies by the end of it. Winner gets $50. 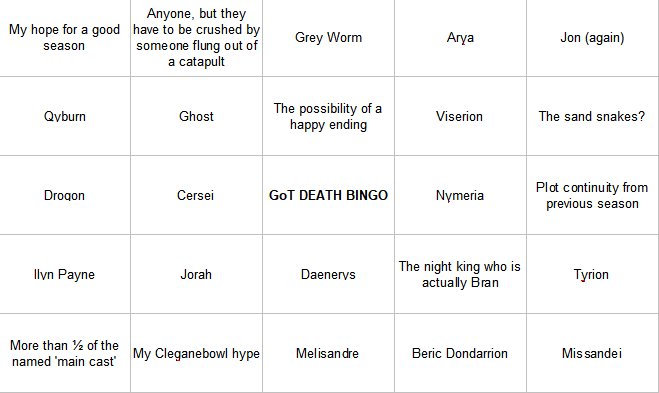 Who wants to play GoT death bingo with me? I'll join! Is this acceptable?